IMPORTANT: This item shipped out by registered tracking number (not like other) lets you track/trace your parcel online for your confidence and safety. Play like a pro in the ultimate soccer experience! Hovers on a cushion of air! Soft foam bumper for great rebound action! 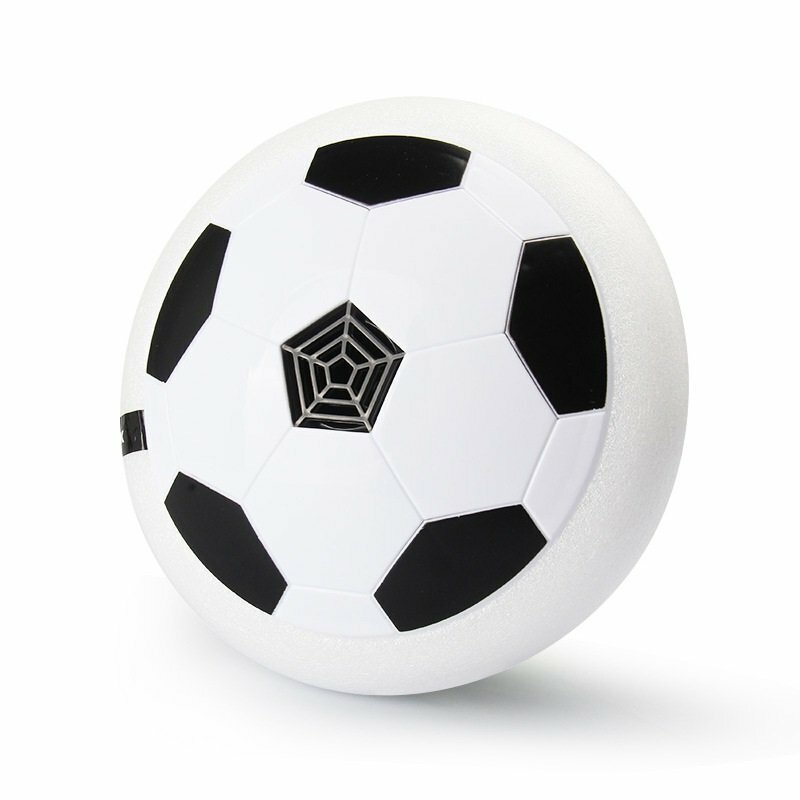 New cushion toy football, it can be kicked in the room can also be played outdoors, on the line as long as the plane, wooden floors, carpets, streets, limited places. Suitable for children ages 3 and up, as well as adults of all ages. It can be played during the day or at night. Have more fun with its colorful LED lighting, for a limited period of time. Indoor fun, home play football. Air circulation suspension. Bright LED light, pneumatic suspension, ball hits borders and bounce off. Strong motor group made using advanced manufacturing processes with cordless power systems. With advanced smart two-way communication esc (esc) so that its motor is more powerful, more flexible flight. Suitable for toddlers 3 Years+ and up. Perfect gift for your children. * This product is battery-operated but does not include batteries in the packaging. Requires 4 AA batteries to operate.